For any fans of The Clash that have wondered what a casbah (or kasbah on Morocco) is, the answer can be found at Ait Ben Haddou, the biggest kasbah in all of Morocco. And after we rocked it we were in need of some food and found ourselves at Restaurant L’Oasis D’Or. The menu had items I had already tried out and one that had yet eluded me. 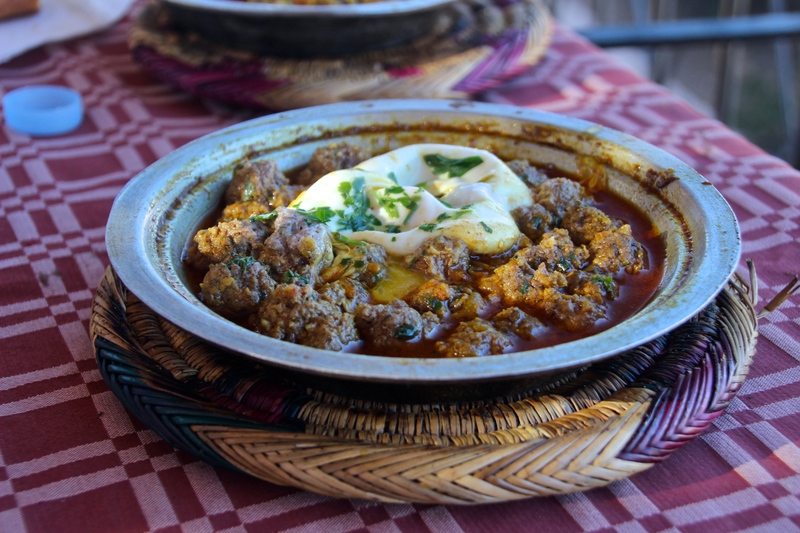 That dish was kefta, which is basically what you call meatballs in Morocco. This particular kefta was of the beef variety and also came with egg, and I’ve never been a man to turn down meaty balls and eggs. 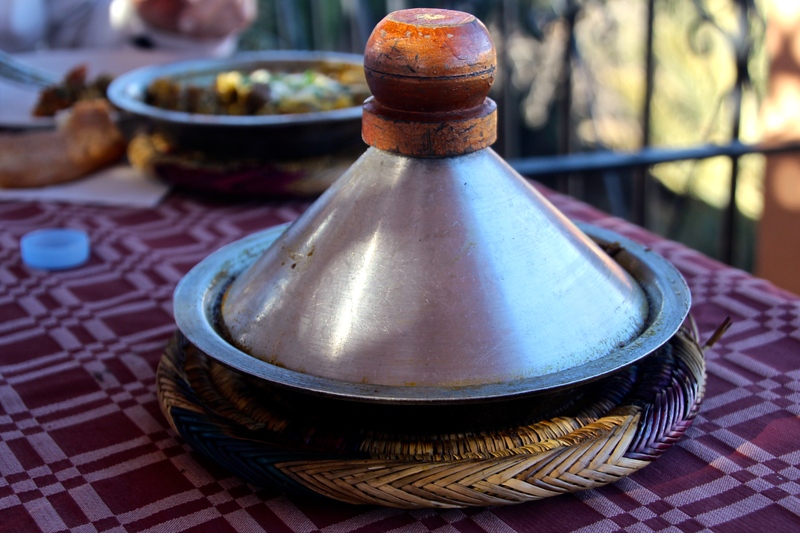 As with any meal, it came with bread and also was brought out in a tajine. The spices used in it were pretty spectacular, giving the balls quite a punch of flavor. As for the meat itself, it was a little bit chewy, so not exactly the best meatballs I’ve ever had but certainly big on taste. While the kefta may not have been the best meatballs ever, Restaurant L’Oasis D’Or was still a good place to stop. Perhaps more importantly, it expanded my horizons on Moroccan food and showed me that I wasn’t going to be stuck eating chicken for every meal.